A Venezuelan, for example, will spend an average of €4,000 per trip. They therefore have high expectations of their trip: seamless organisation, personal service and worthwhile results. 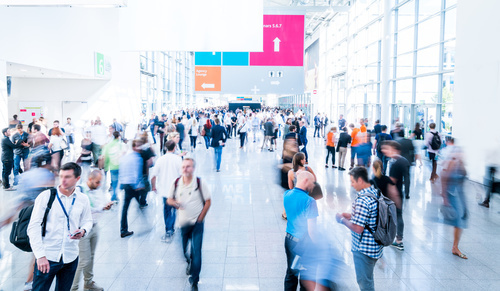 Generally within delegations, Latin American visitors value an official welcome from the organiser, a personalised programme of visits, including outside the show, and dedicated support from the Promosalons team. Open, jovial, inquisitive, they value a friendly, informal approach. But they are there to do business and want to hear convincing arguments and figures. Likewise, their infectious enthusiasm does not necessarily indicate a done deal. They are more relaxed when it comes to time-keeping and organisation. This starting to change, but some tolerance may be required... Instead of countless emails, they prefer direct contact face-to-face, over the phone or via WhatsApp. Networking and mutual trust are essential. Courtesy and tact are important, as is showing an interest in the person and their country and, where possible, communicating with them in their language. Most professional exchanges are in Spanish, sometimes in English, but rarely in French. Being able to give them a business card in Spanish is a bonus. Some tips: Because of their legendary friendliness, Costa Ricans call themselves ‘Ticos’. It is considered extremely rude not to share a cup of coffee with a Colombian! Professionals in the Latin America region visit a lot of national and international shows. In terms of international shows, they prefer to attend those in neighbouring countries – especially as some Latin American organisers will cover their expenses; they also frequent shows in the US and China. In Europe, their favourite destinations are Germany, Italy, France and Spain. The most popular French shows are SIAL Paris, SIMA, Europain, Maison&Objet, Pollutec, Silmo and IFTM Top Resa, not to forget French shows abroad, like SIAL China. Several countries in the region are also proactive organisers. For instance, in April 2018, a Colombian-Costa Rican consortium opened a national convention and conference centre in Costa Rica, with a capacity of 4,500. This centre is set to host about sixty events between now and 2021.